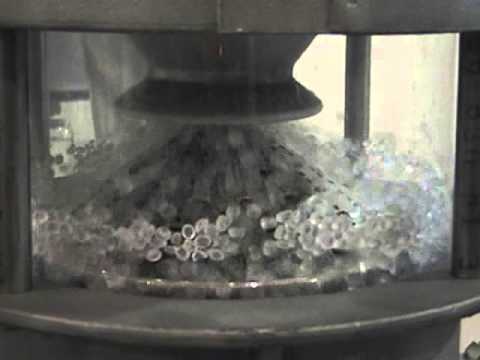 Industries that use bulk plastics see better product quality and decreased equipment wear and required maintenance when the raw materials used are clean. Removal of small particulate and streamer contamination from your bulk plastic flow is efficiently achieved with this compact and highly flexible line of dust removers. Pelletron’s RC-1 is the next generation of dust removal equipment for the plastics industry following Pelletron’s highly successful P1 and P5 lines. The low height of the P1 unit (about 300mm) has been maintained while the high capacities of the P5 unit (up to 250 kg) are attainable. The well-proven electromagnetic field to break the electrostatic bonds between the bulk plastic pellets and the contaminating dust particles remains unchanged from Pelletron’s previous designs. Incoming material is evenly distributed around a central conical wash deck and is subjected to the magnetic field. A wash air stream generated by a high efficiency onboard fan then flows over the material and forces fine dust particles and streamers through holes and slots in the wash deck removing it from the bulk plastic pellets and improving your process quality and downstream equipment efficiency.